Services for Mr. Thrapp will Saturday November 24, at Crowder Funeral Home in League City, 1645 East Main Street, League City, TX.77573. The family will be receiving friends at 2:00 p.m., and the Funeral Service will follow at 3:00 p.m. BROKEN ARROW, Okla. (AP) — A public memorial service is planned in Oklahoma for singer-guitarist Roy Clark, who headlined the TV show “Hee Haw” for nearly a quarter century. Services for Robert Lee Davis III, age 80, of Ingram, who passed away Sunday, November 18, 2018 at his residence will be held at a later date. Arrangements are entrusted to Grimes Funeral Chapels of Kerrville. Freddie Lee Rychlik, 65, of Richmond was born on October 5, 1953 in Richmond, TX. and he passed away on November 17, 2018 surrounded by his loving family. 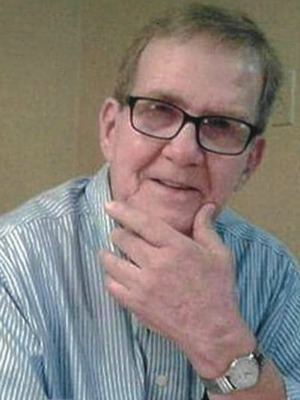 INGRAM — Services for Robert Davis, 80, of Ingram, Texas, who died Sunday, Nov. 18, 2018, at his residence, are pending at Grimes Funeral Chapels of Kerrville. INGRAM — Services for Robert Silliman, 89, of Ingram, Texas, who died Sunday, Nov. 18, 2018, in a local care center, are pending at Grimes Funeral Chapels of Kerrville. INGRAM — Services for Oscar Luna, 6, of Ingram, Texas, who died Saturday, Nov. 17, 2018, at his residence, are pending at Grimes Funeral Chapels of Kerrville. J.D. Buchwald J.D. Buchwald, 79, of Bandera, passed away on November 19, 2018 in Bandera. He was born in Houston, Texas to Clarence and Mary Buchwald on May 9, 1939. He Married Doris Reichel in 1980 in League City, Texas. Betty Lindstrom LaRash, 88, formerly of Cleburne died November 18, 2018. Service: 11:00 A.M., Friday, November 23, at the First United Methodist Church in Cleburne. 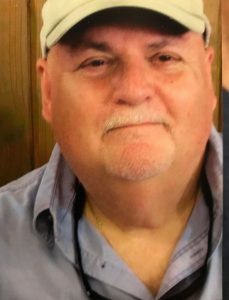 Jerry Dwayne Cain passed away November 8, 2018 in Whitney, TX. A graveside service will be held on Saturday, November 24 at 11:00 A.M. at Rosehill Cemetery in Cleburne, TX. Jerry was born on January 6, 1953 in Cleburne, TX. Born on April 17, 1940, Linda Lou (Buchanan) Kinnamon went home to heaven on November 16, 2018. She was reunited with beloved husband, J.D….